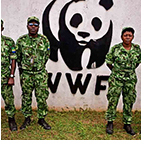 A new Survival International report documents serious instances of widespread and systematic human rights abuses between 1989 and the present day in Cameroon, the Republic of Congo, and the Central African Republic (CAR) by wildlife guards funded and equipped by the World Wildlife Fund (WWF) and the Wildlife Conservation Society (WCS), the parent organization of New York’s Bronx zoo. Documented abuses and harassment are likely just a small fraction of the full picture of systematic and on-going violence, beatings, torture and even death. Indigenous people are accused of “poaching” because they hunt to feed their families. And they face arrest and beatings, torture and death, while big game trophy hunters are encouraged. Which ‘rights’ are then protected under conservationist projects? Access an article and the report here.